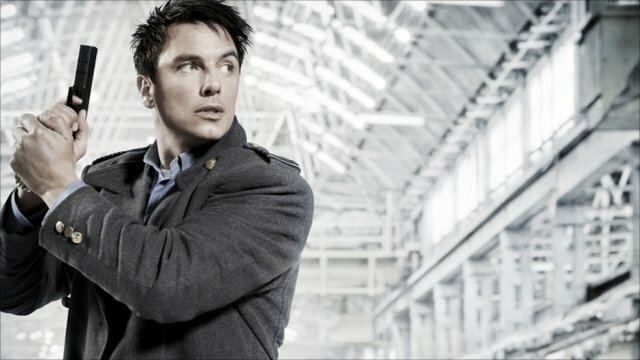 BBC Wales series Torchwood has premiered the first episode the new series in Swansea. The science fiction programme sees John Barrowman and Eve Myles returning to their roles of Captain Jack and Gwen Cooper. The programme is now set on both sides of the Atlantic with filming in Rhosilli Bay on Gower in south Wales and also in America. It also stars Hollywood actor Bill Pullman in a sinister role playing a killer who survives a lethal injection. He tells Matt Murray about his character.